What Does CBD Do, Then? Can CBD Be Used for Children? 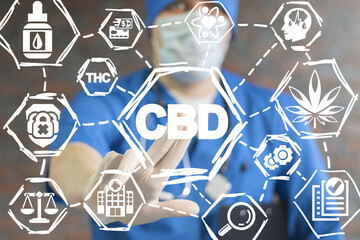 Unless you’ve been living under a rock or in a remote Amazonian jungle for the past few years, you’ve heard of CBD oil and the promise it has shown in treating a wide variety of diseases and conditions. But what is CBD oil, exactly? Who should take it, and how is it best taken? In this CBD for dummies guide, we have answers to those and other frequently asked questions. CBD stands for cannabidiol. It’s one of several dozen cannabinoids, compounds found in the cannabis plant. These compounds act on receptors in the human body to cause biochemical changes to the nervous system. No. CBD is non-psychoactive and does not cause intoxication. The confusion arises because it is sourced from the cannabis plant, just like THC, which is the component in marijuana that causes a high or stoned feeling. Although THC and CBD are related, they work differently in the body. As with any supplement, the effects of CBD depend on the strain, the dose, the symptoms being treated, and other factors. CBD can be vaped, applied topically in the form of a balm or lotion, used sublingually as a tincture, or ingested internally in capsule or gummy form. When vaping or applying a balm, the effects of CBD will be felt almost immediately. A tincture will take effect between 15 and 60 minutes. Internal doses of CBD, from capsules, gummies, or other edibles, take a little longer — up to 90 minutes — but the effects will last the longest using this method, as well. The side effects of CBD are generally very mild, even at high doses. Some people have reported feeling lethargic or drowsy after taking CBD, but in most cases, there aren’t any significant side effects. One of the best things about CBD is that it can help even very young children. In fact, the U.S. Food and Drug Administration has approved a CBD-derived medication called Epidiolex for use in children. It is used to treat two rare forms of epilepsy, Lennox-Gastaut syndrome, and Dravet syndrome. Many people use CBD for their pets. It can help with separation anxiety, pain, joint issues, inflammation, and many other issues. Be sure to learn more about CBD for dog and cats before dosing your pet. We hope that this “CBD for dummies” guide has helped give you a glimpse into the wonderful world of CBD. Naturally, you will want to do more research into the topic — as you would with any remedy, supplement, or drug. However, it’s clear that this treatment has incredible potential for human and animal medicine! Curious to learn more about CBD? Start with this article on how to feel better naturally!